DECEMBER 2015 WINTER SALON GROUP EXHIBITION! Stranger Factory is excited to announce Winter Salon, our annual small-works and editions group exhibit featuring members of the Circus Posterus collective, as well as like-minded friends and family. This group exhibit is an end-of-year holiday party for Circus Posterus and Stranger Factory, and a chance for our family of artists and contributors to all come together for a great exhibit and celebrate another year of creating incredible artwork and limited edition releases under the Circus Posterus banner. This year’s participating artists include Brandt Peters, Kathie Olivas, Chris Ryniak, Amanda Louise Spayd, Genevieve Geer, Tim Lee, Carisa Swenson and many more! 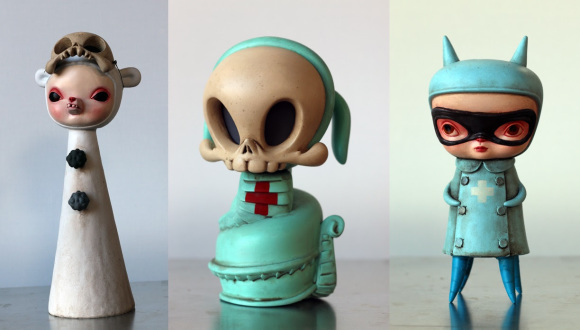 We will also have several new, and amazing, limited edition pieces from Instinctoy in Japan! Winter Salon will be on display from December 4th through January 3rd. and some artists will be in attendance. 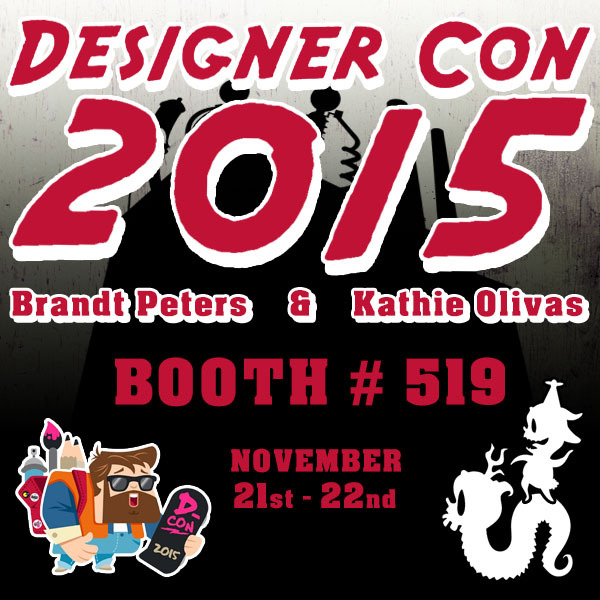 We are coming for you Designer Con!!!! See you at booth #519 where we will have tons of exclusives, editions, Instinctoys, and more!!!! 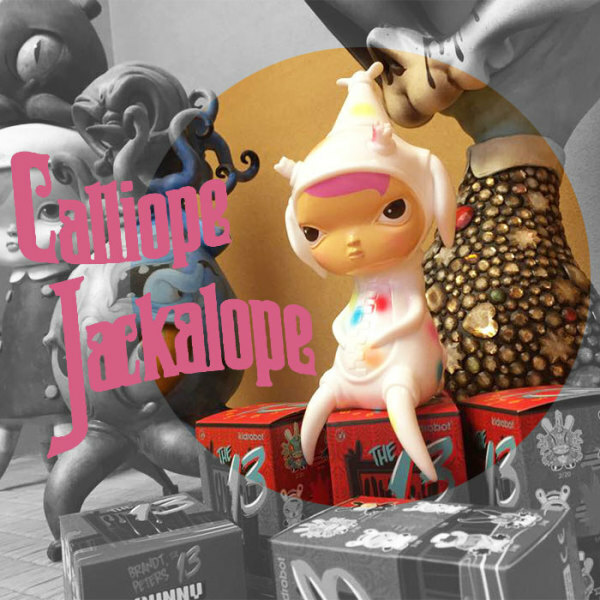 Kathie Olivas Calliope Jackalope Candy Colorway AVAILABLE NOW!